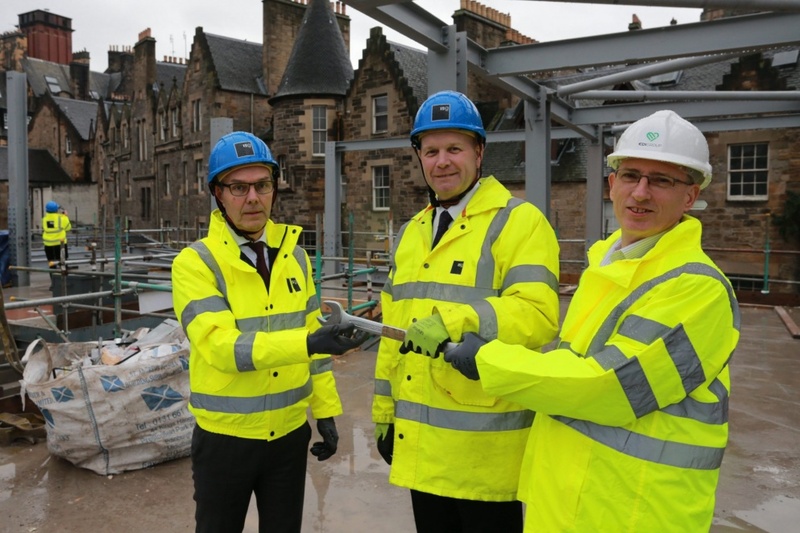 Work on building a new £20 million hotel on a well-known gap site in Edinburgh’s historic Old Town has reached a crucial milestone with the building reaching its highest point. Developer EDI Group and Carlton Hotel Collection are creating the 98-room design boutique hotel on Market Street on land between Craig’s Close and the City Arts Centre which has lain derelict for more than 50 years. 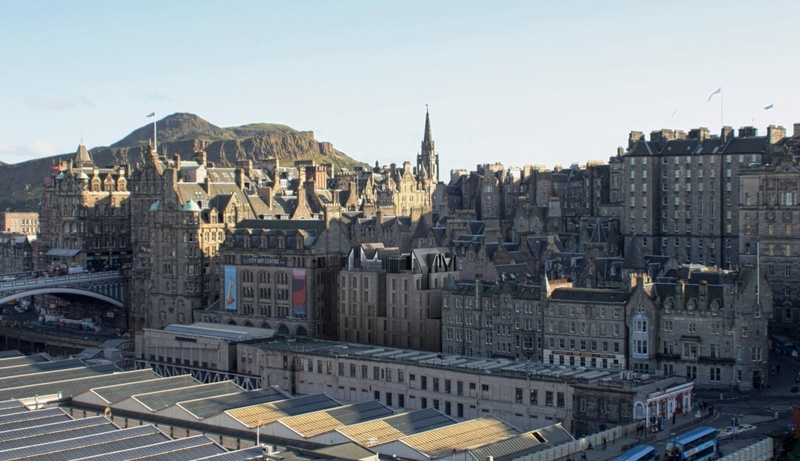 Situated right in the heart of Edinburgh’s UNESCO World Heritage and Old Town Conservation Area, construction of the seven-storey hotel will transform the last remaining gap site on the northern boundary of the Old Town, between Edinburgh Castle and North Bridge. The project construction, first begun in May 2016, has proved a huge design challenge with the site surrounded by historic buildings on three sides and by the busy Market Street and Waverley Station directly in front. But now that the steel ‘backbone’ of the building is in place, work on the exterior and interior of the landmark building will now accelerate, with the hotel due for completion in late Summer 2018. 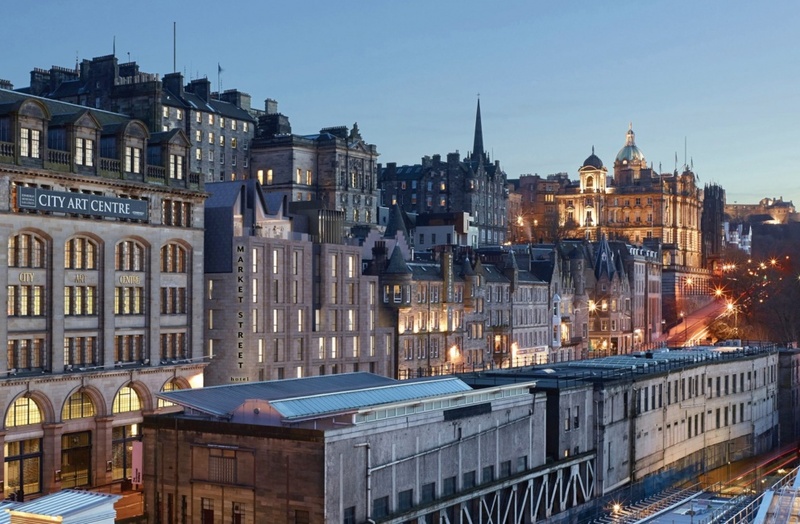 Once open, guests to the four-star hotel will be able to enjoy a top floor lounge with panoramic views across the Waverley Valley from Princes Street Gardens to Calton Hill from a specially-designed champagne bar roof terrace. 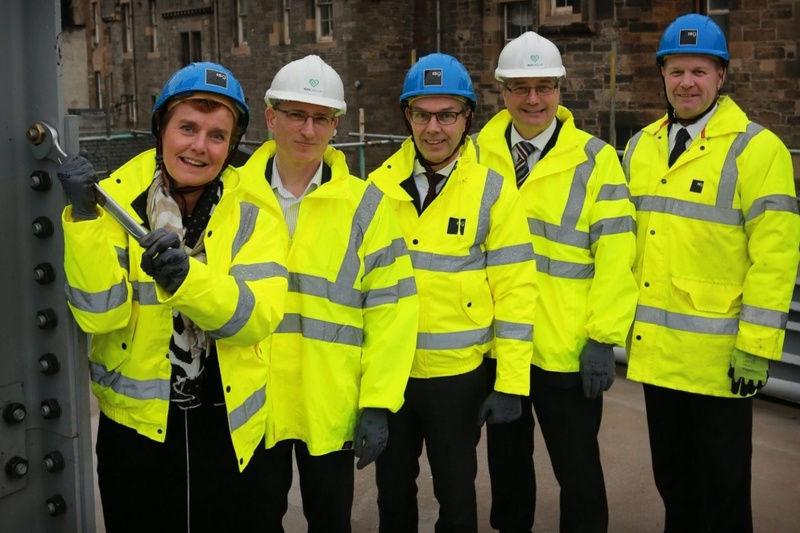 A ceremonial ‘topping out’ earlier this week saw EDI Group’s Operations Director Eric Adair and the firm’s Head of Development Mark Harris, accompanied by Andy McLinden Managing Director of main contractor ISG’s UK Construction North and Scotland businesses, tighten a last ‘golden’ bolt on the frame witnessed by Carlton Hotel Collection’s Director of Operations Hans van der Heijden and Sales Director Christa van Camp. “Today marks an important milestone in the ambitious project bringing life back to this well-known gap site. “Creating and constructing a fitting design that works for Market Street has been a challenge for all of the team involved but it is a great example of what EDI can do. With steelwork complete we can now really see the hotel taking shape. “While there is still much to be done, I have no doubt that the hotel will be a vital addition to the city’s hospitality offering for visitors and residents alike in what is a spectacular location. “We are excited about this project and can’t wait to open our doors. 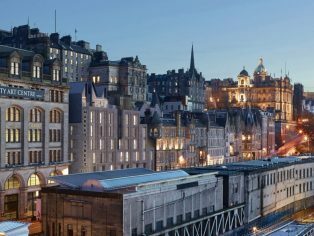 Market Street Hotel will be the first Design Hotel™ in Edinburgh, and will bring a new dimension to the city’s hotel supply. The Carlton Hotel Collection, founded in 1985, is part of Hotel Management International, which owns, operates and manages ten quality four-star hotels in the Netherlands, Belgium, England and Scotland. The Market Street venture is the firm’s first hotel in the capital.